How to Be a Christian brings together the best of Lewis's insights on Christian practice and its expression in our daily lives. Cultivated from his many essays, articles, and letters, as well as his classic works. 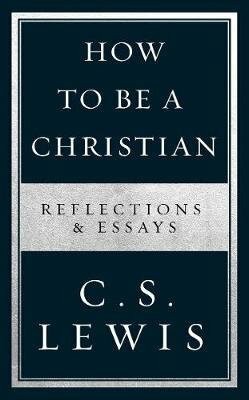 From the revered teacher and best-selling author of such classic Christian works as Mere Christianity and The Screwtape Letters comes a collection that gathers the best of C. S. Lewis's practical advice on how to embody a Christian life. The most famous adherent and defender of Christianity in the twentieth century, C. S. Lewis has long influenced our perceptions and understanding of the faith. More than fifty years after his death, Lewis's arguments remain extraordinarily persuasive because they originate from his deep insights into the Christian life itself. Only an intellectual of such profound faith could form such cogent and compelling reasons for its truth. By provoking readers to more carefully ponder their faith, How to Be a Christian can help readers forge a deeper understanding of their personal beliefs and what is means to be a Christian, and strengthen their profound relationship with God.